Free burritos! We had a blast at the ribbon cutting for the new Miguel's Jr. in Huntington Beach. It is super yummy! If you'd like to try it out, I have a giveaway running over on Facebook that you should enter! 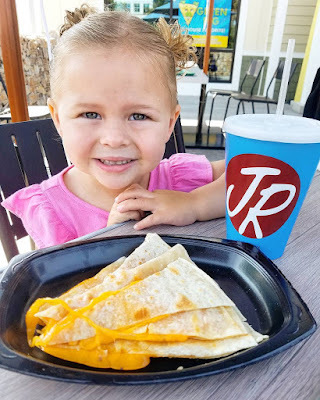 Grace loves the quesadilla, while I love the El Potato burrito! Thank you so much for hosting. I get so much inspiration from your readers. Have a good week and be safe! Thanks so much for hosting!! Hope you have a wonderful week! !